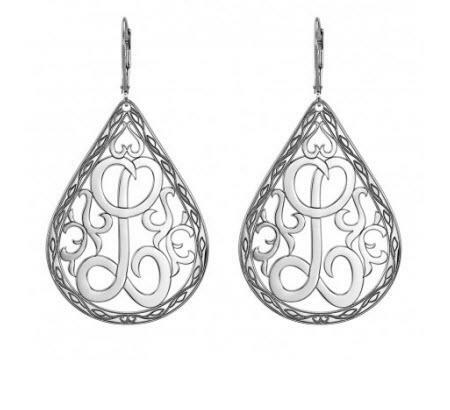 These large lever back teardrop earrings are monogrammed with a single initial make the perfect gift for that special lady! Make a statement with the large cutout scripted initial that fills the center while surrounded by an authentic ivy design. They measure at 42x30mm (1 1/2 in x 1 3/16 in) and come in your favorite metal choice from sterling silver to gold. Please place the initial you want in the text block. Please state the single initial that you want to appear in the text block. Price: $220.00 In stock! - Browse this brandOur products are custom made to your specifications. This product ships up to 3 weeks after your order is placed.